Dubai, UAE, January 4, 2018: Xclusive Yachts is excited to announce the launch of a whole new concept to the nautical tourism industry in Dubai – ‘High-Tea At Sea’. Being rated as Dubai’s only 5 star luxury yacht charter, they believe it is obligatory to constantly innovate and improve to provide its clients the best services onboard. The launch event is scheduled to take place on Saturday, 8th of April at Xclusive Yacht’s official party boat and their largest one that can accommodate over 200 guests. 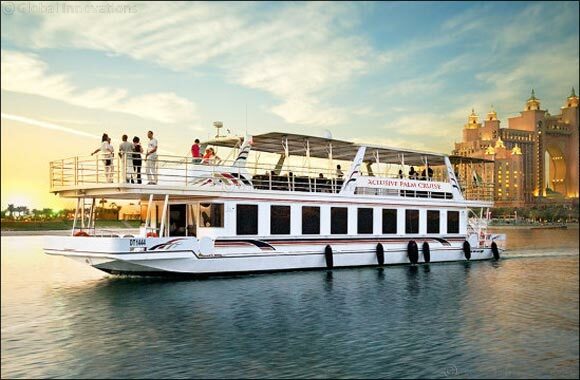 The 2 hours cruise will begin at 1:00 pm starting at the Dubai Marina Yacht Club. The custom made High-Tea menu is catered by The Address Hotel, Dubai Marina. The tradition of High-Tea or Afternoon Tea is quintessentially British, the idea being to fill in the long gap between lunch and dinner. It’s been months that the management of Xclusive Yachts wanted to try this new concept with their Luxury Cruise out in the sea. “It required a lot of planning right from choosing the right caterers that could best match the level of quality and service that Xclusive offers. Everything now up in place, we are excited to announce the launch this week” says Simon, the sales Director for Xclusive Yachts.